ANDREW RESTUCCIA in Buenos Aires and GABBY ORR: “Mueller follows Trump abroad — again”: “White House aides had hoped that the G-20 summit would be an opportunity for President Donald Trump to showcase his deal-making skills. Now, they’re worried that special counsel Robert Mueller’s latest bombshell could overshadow his latest tour on the world stage. And some think that’s just the way Mueller wanted it. — THE HOUSE is out Monday, which gives Congress four days in session to strike a deal. WATCH FOR talks between SENATE MINORITY LEADER CHUCK SCHUMER (D-N.Y.) and PRESIDENT DONALD TRUMP. This bill will need support from a whole bunch of Senate Democrats. “New evidence from two separate fronts of special counsel Robert S. Mueller III’s investigation casts fresh doubts on Trump’s version of key events involving Russia, signaling potential political and legal peril for the president. 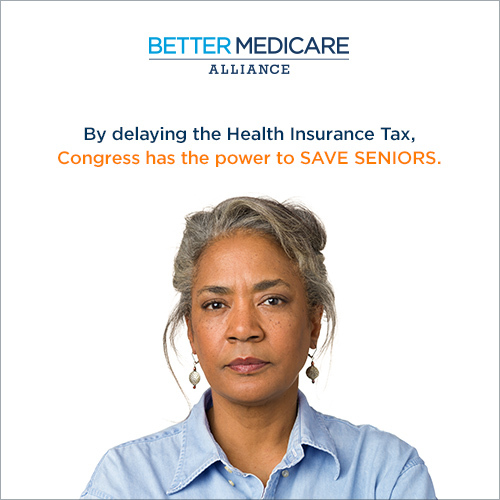 Seniors need Congress to act now. Delay of the 2020 Health Insurance Tax (HIT) would preserve affordable access to needed coverage and care for seniors, individuals with disabilities, and low-income beneficiaries in Medicare Advantage. Learn More. KYLE CHENEY, RACHAEL BADE and GABBY ORR: “‘The perfect witness’: Dems want Cohen to testify on the Hill”: “Michael Cohen was once President Donald Trump’s most militant loyalist. Now House Democrats are eyeing him to become their star witness. Democrats think Cohen could be a linchpin in their upcoming efforts to spotlight Trump’s relationship with Russia and are hoping to call him to testify before the House once they seize control of Congress. BURGESS EVERETT and ELANA SCHOR: “GOP unloads on Flake”: “Jeff Flake is finally taking a stand on the need to protect Robert Mueller — and it’s infuriating his fellow Republicans. The retiring Arizona senator is undermining the Senate GOP’s efforts to approve as many lifetime-appointed federal judges as possible in the lame duck. His vow to oppose all judges until he gets a vote shielding the special counsel from presidential interference has already frozen 21 judicial picks in committee and on Thursday helped derail a nominee on the Senate floor. NYT’S NICK CONFESSORE and MATT ROSENBERG: “Sheryl Sandberg Is Said to Have Asked Facebook Staff to Research George Soros”: “Sheryl Sandberg asked Facebook’s communications staff to research George Soros’s financial interests in the wake of his high-profile attacks on tech companies, according to three people with knowledge of her request, indicating that Facebook’s second in command was directly involved in the social network’s response to the liberal billionaire. THE TRUMP ADMINISTRATION — “Trump’s wealthiest Cabinet members earned millions in 2017,” by Lorraine Woellert and Theo Meyer: “President Donald Trump’s three wealthiest Cabinet members took in tens of millions of dollars last year, including from divesting holdings to avoid conflicts of interest, according to disclosure filings released by the administration. Seniors will face increased costs. Congress, delay the Health Insurance Tax and protect our seniors. Learn More. TRUMP’S FRIDAY — The president, who is in Buenos Aires for the G-20, will participate in a photo op with Argentine President Mauricio Macri this morning and then participate in a meeting with him. He will participate in the USMCA signing ceremony before taking part in the official G-20 welcome and family photo. Trump will attend the G-20 opening remarks and participate in a working lunch. He is scheduled to meet with Japanese Prime Minister Shinzo Abe. Trump will also meet with Abe and Indian Prime Minister Narendra Modi. He is also scheduled to have a pull-aside meeting with Australian Prime Minister Scott Morrison. TRUMP and first lady Melania Trump will participate in an embassy meet-and-greet. The two will join in a G-20 family photo before attending a cultural performance and G-20 leaders’ dinner. INSIDE THE WHITE HOUSE — BEN SCHRECKINGER and DANIEL LIPPMAN, “The China hawk who captured Trump’s ‘very, very large brain’: Washington veteran Michael Pillsbury has quietly become a key figure behind Trump’s confrontational China policy, to the dismay of Beijing — and some fellow China experts”: “He has caught the ear of Trump, who during a November press conference proclaimed him ‘probably the leading authority on China.’ The former Reagan and George H.W. Bush Pentagon official has spent decades in the cold, dismissed by critics as a mix of conspiratorial and self-promoting. The 2020 Health Insurance Tax will raise costs for seniors. Congressional action is needed now. Learn More. 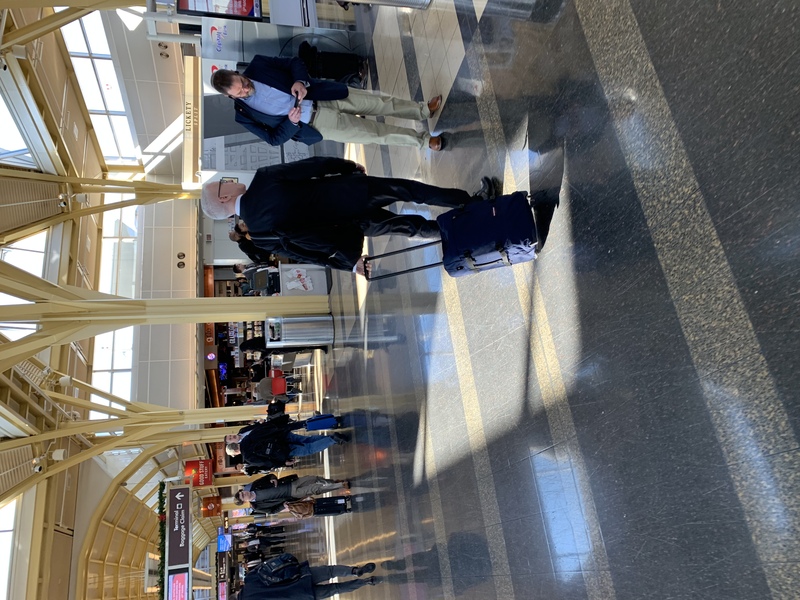 SPOTTED: Sen. Bernie Sanders (I-Vt.) at DCA. He got “briefly patted down after coming through the machine,” according to our tipster. … Anderson Cooper on the Delta shuttle from LGA to DCA. Pic … Sen. Jon Kyl (R-Ariz.) on a Thursday afternoon flight from DCA to PHX in first class. OUT AND ABOUT … The Elizabeth Dole Foundation hosted an event honoring military and veteran caregivers that raised $1.7 million last night called “Heroes and History Makers.” Honorees included: Tom Hanks, House Minority Leader Nancy Pelosi (D-Calif.) and Sen. Susan Collins (R-Maine). SPOTTED: C. Boyden Gray, Elizabeth and Bob Dole, Steve Schwab, former Sen. Chuck Robb, UAE Ambassador Yousef Al Otaiba, Harriet Dominique, Joint Chiefs of Staff Chairman Gen. Joe Dunford, Michael Steel, Jason Mida, Philip Dufour, Nadeam Elshami, Paul Pelosi, Christine Pelosi, Marc Adelman and Bulgarian Ambassador Tihomir Stoytchev. TRANSITIONS — Christyn Lansing will be a senior director at CGCN Group. She previously was strategic communications director at DHS. … Julie Tarallo and Nu Wexler will be communication managers for Google in D.C. Tarallo is the former comms director for the late Sen. John McCain (R-Ariz.). Wexler worked for Facebook and is also a Twitter alum. Medicare Advantage premiums went down for 2019 in part because the Health Insurance Tax was suspended. The return of the Health Insurance Tax (HIT) in 2020 would force 21 million beneficiaries to pay more for their Medicare Advantage coverage when they simply cannot afford it. Congressional action is needed now to delay the 2020 HIT Tax to protect seniors. Learn More.